John Carl Buechler, the legendary horror director and SFX artist best known for Hollywood makeup and special effects in horror movies such as Deep Freeze, Hatchet and Troll, has died. He was 66. His death was confirmed by Ted Geoghegan, a genre film and Fantasia Film Festival publicist. Geoghegan told The Hollywood Reporter that Buechler passed away on Monday, March 18. As for the cause of death, the New York City-based publicist said the director died after a battle with stage 4 prostate cancer. A GoFundMe page was created by his wife, Lynn Buechler, one month ago to help pay for his treatment. His family is absolutely devastated as are many of his fans and friends ... To all of you who sent good wishes and love please know that your communication really lifted his spirits. Over the course of his career, Buechler also completed creature effects for multiple classic genre pics such as Stuart Gordon's Re-Animator and Ghoulies. He also directed films like Cellar Dweller and Friday the 13th: The New Blood. 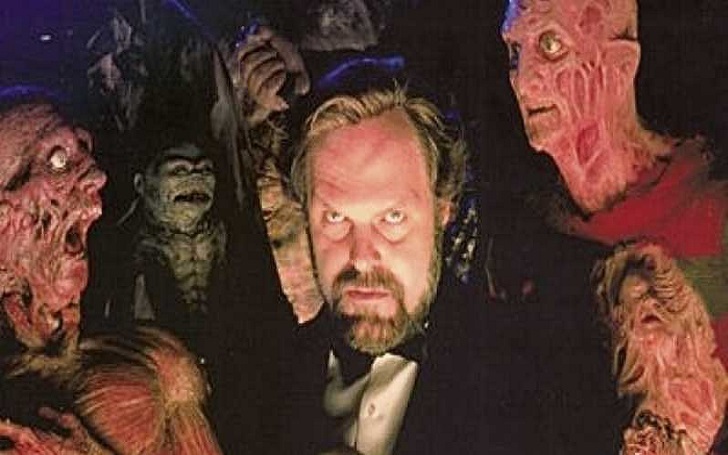 He also worked on the Nightmare on Elm Street franchise, Ghoulies, Ghoulies II, The Garbage Pail Kids, Halloween and Steven Spielberg's Indiana Jones: The Last Crusade. Funeral and memorial services for the late horror movie director will be announced in the coming days. Rest In Peace John Carl Buechler!